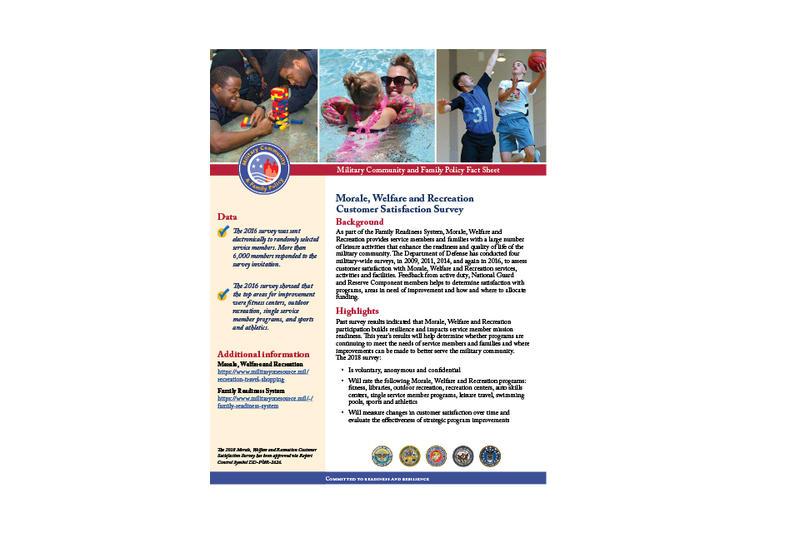 The Department of Defense conducts military-wide survey to assess customer satisfaction with Morale, Welfare and Recreation programs. 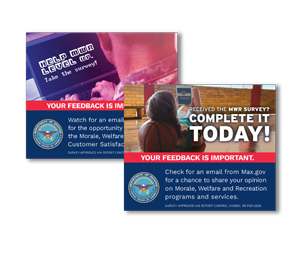 Active-duty service members are asked to participate and rate customer service, operation hours, facility conditions and quality of service. 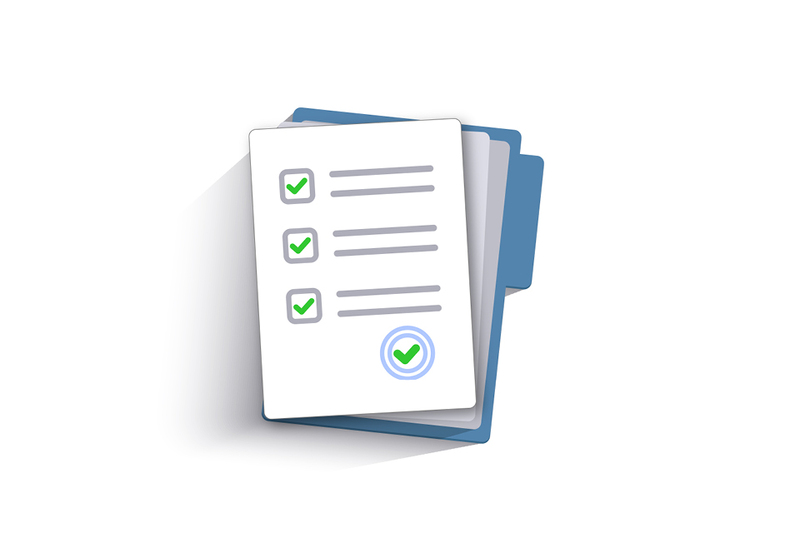 The department's goal is always to ensure that our programs meet service member needs, and the survey results help define what is working well and what we can still improve.